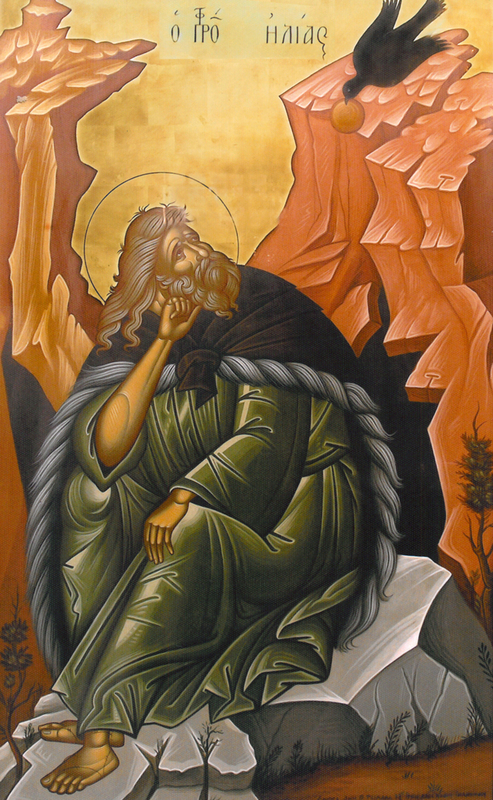 St. Nikodemos of the Holy Mountain: "When you find yourself wounded by sin"
When you find yourself wounded because you fell into some sin because of your weakness, or sometime through your desire to your detriment: do not be afraid, nor should you be troubled because of this, but as you immediately return to God, speak thusly: "Look, my Lord, I did this deed as I am that kind of person. It is impossible for You to expect anything else from me, who am so ill-intentioned and weak, other than falls from me and being demolished." And then, bring tears to your eyes for a while, and mourn with pain of heart for the sadness which you cause God, and without becoming confused, become indignant against your shameful passions, especially against that passion which became the cause of your fall. And say again: "I would not have been standing up till now, my Lord, I would have sinned worse, unless you had not kept me in Your great goodness." And thank Him and love Him much more, being amazed at His great compassion, for despite all the things that you have done to sadden Him, He again extends His hand to help you, that you might not fall again into sin. 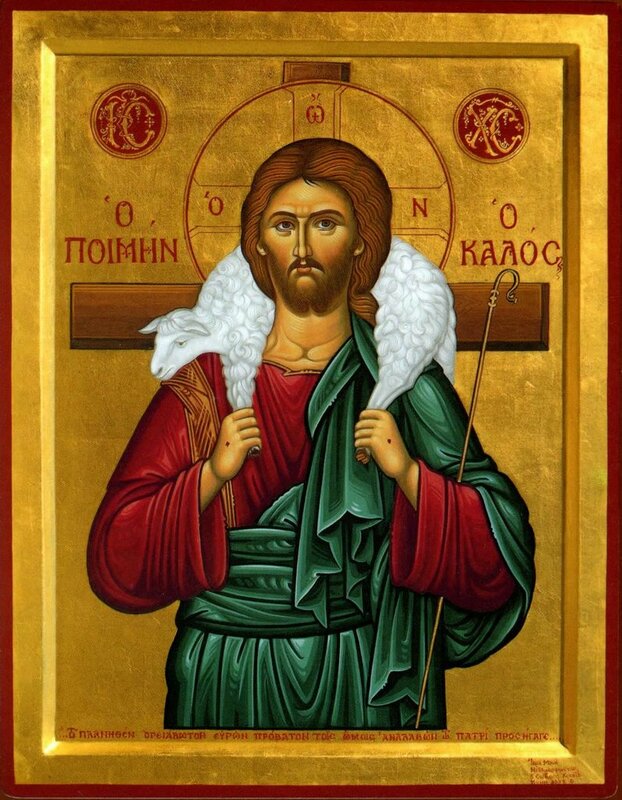 Finally, say with great firmness to His compassion: "You, my Lord, do as You are, and forgive me and do not allow me from now on to be separated from You, nor to be distanced from You ever, nor to sadden You anymore." And doing this, do not wonder if He forgave you, because this is nothing other than pride, disturbance of the nous, loss of the time, and deception of the devil, colored with different beautiful excuses. Because of this, leave yourself free in the merciful hands of God, continue your ascesis, as if you had not fallen. And if, due to your weakness, the same occurs and you sin many times in the day and you remain wounded, do that which I said each time, not with any less hope in God. And condemn yourself further and hate the sin further, and struggle to live with even greater care. This struggle does not please the devil, because he sees how much it pleases God, and because the enemy remains shamed seeing that he had been defeated by him whom he had previously conquered. Because of this he uses different fraudulent ways to prevent what we are doing. And many times he accomplishes his task due to our negligence and the little care that we have for ourselves. Because of this, whenever you find yourself in this difficulty from the enemy, even more so should you struggle to do this many times, even if you only fell once. Of course, you should do this when, having sinned, you feel that you are troubled and confused; you should seize the thoughts of disbelief, and thus you bring about peace and tranquility in your heart, along with bravery. And having been armed with these weapons, you return to God. Because, a confusion and being troubled by sin like this does not occur because we saddened God, but it occurs because of fear of His condemnation. And this signifies that it springs from our self-love, as we said many times before. Our method, therefore, to bring about peace is the following: to totally forget your fall and your sin, and to deliver your thoughts to the great and ineffable goodness of God. 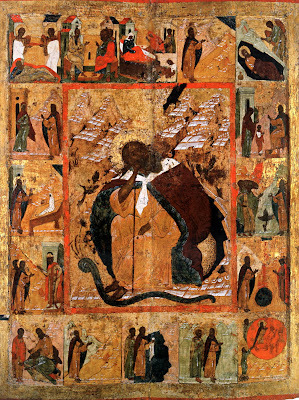 And that, He waits with great diligence and desire to forgive every sin, even if it is grave, calling the sinner with various ways and through different paths, to come to his senses and to be united with Him in this life through His grace, and in the other life, to sanctify him with His glory and to make him blessed forever. And with these and similar thoughts and reflections, you will bring peace to your nous, then you can return from your fall, doing as I said above. Straightaway, when the hour of your confession comes (which I advise you to do very frequently), bring to mind all of your sins, and with new pain and sadness for that with which you saddened God, and with diligence and resolve to not sadden Him further, reveal them all to your Spiritual Father, and fulfill with diligence the canon that he ordains. St. Markella lived in the village of Volissos, Chios in the middle of the fourteenth century. Her parents were Christians, and among the wealthiest citizens of Volissos. Her mother died when she was young, and so her father, the mayor of the village, saw to her education. St. Markella had been trained by her mother to be respectful and devout, and to guard her purity. She avoided associations with other girls who were more outgoing than she was so that she would not come to spiritual harm through such company. Her goal was to attain the Kingdom of Heaven, and to become a bride of Christ. 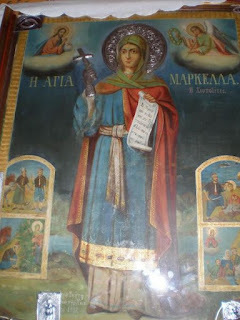 St. Markella increased in virtue as she grew older, fasting, praying, and attending church services. She tried to keep the commandments and to lead others to God. She loved and respected her father, and comforted him in his grief over her mother’s death. She told him she would take care of him in his old age and would not abandon him. As an adult, St. Markella was loved by everyone for her beauty and for her spiritual gifts. The devil tried to lure her into sin by placing evil thoughts in her mind. 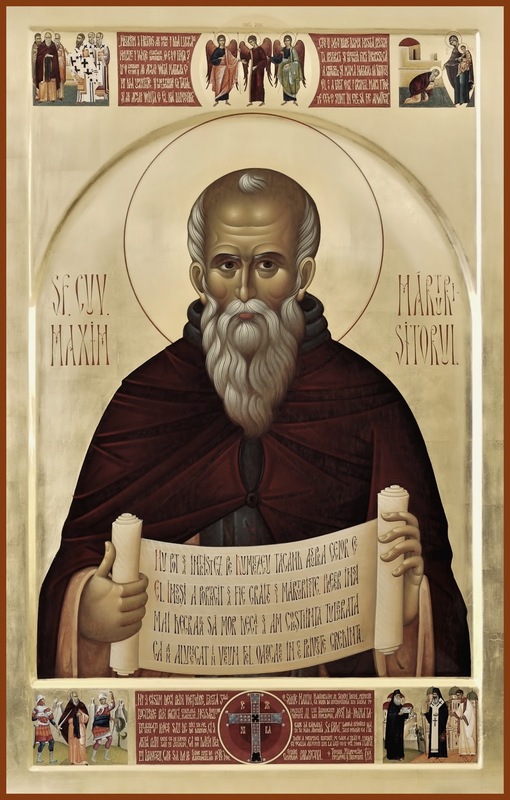 However, St. Markella resisted these temptations and so the devil turned away from a direct confrontation with her. Instead, he incited her father with an unnatural desire for his daughter. Eventually, Markella’s father changed in his behavior toward his child. He became moody and depressed, forbidding her to go into the garden or to speak with the neighbors. Unable to understand the reason for this change, she went to her room and wept. 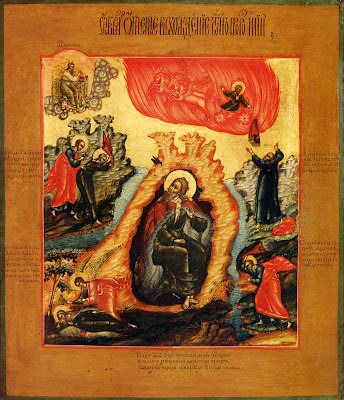 She prayed before an icon of the Mother of God, asking Her to help him. Soon she fell asleep, only to be awakened by her father’s shouting. The unfortunate man had spent a long time struggling against his lust, but finally gave into it. At times he would speak to his daughter roughly, then later he would appear to be gentle. He wanted to be near her, and to stroke her hair. 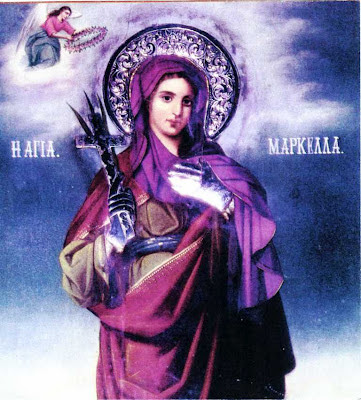 Unaware of her father’s intentions, St Markella was happy to see him emerge from his melancholy state, thinking that her prayers had been answered. One day, her father openly declared the nature of his feelings for her. Horrified, Markella tried to avoid him as much as she could. Even the neighbors realized that there was something wrong, so they stopped speaking to him. One day, a shepherd was tending his sheep near the beach, and led them into the shade of a tree to avoid the hot July sun. Just as he was about to lie down, he heard a noise and looked up. He saw a young woman with a torn dress running down the hill. She hid in a nearby bush, ignoring its thorns. The shepherd wondered who was chasing her, and how she had come to this spot. He then heard the sound of a horse approaching, and recognized the mayor of the village. He asked the shepherd if he had seen his daughter., Markella. The shepherd said that he had not seen her, but pointed to her hiding place with his finger. The mayor ordered Markella to come out of the bush, but she refused. He then set fire to the bush in order to force her out. She emerged and ran toward the rocky shore, calling out to the Mother of God for help. Markella continued to run, even though blood was flowing from her face and hands. Feeling a sharp pain in her leg, she saw that she had been shot with an arrow. She paused to pull it out, then began to run once more. She scrambled over the rocks, staining them with her blood. Hearing her father getting closer, she prayed that the earth would open up and swallow her. Drawing his sword, he began to butcher his helpless daughter, cutting off pieces of her body. Finally, he seized her by the hair and cut off her head, throwing it into the sea. The calm sea suddenly became stormy, and large waves crashed to the shore near her father’s feet. Thinking that the sea was going to drown him because of his crime, he turned and fled. His ultimate fate has not been recorded. Later, pious Christians built a church on the spot where St. Markella hid in the bush. 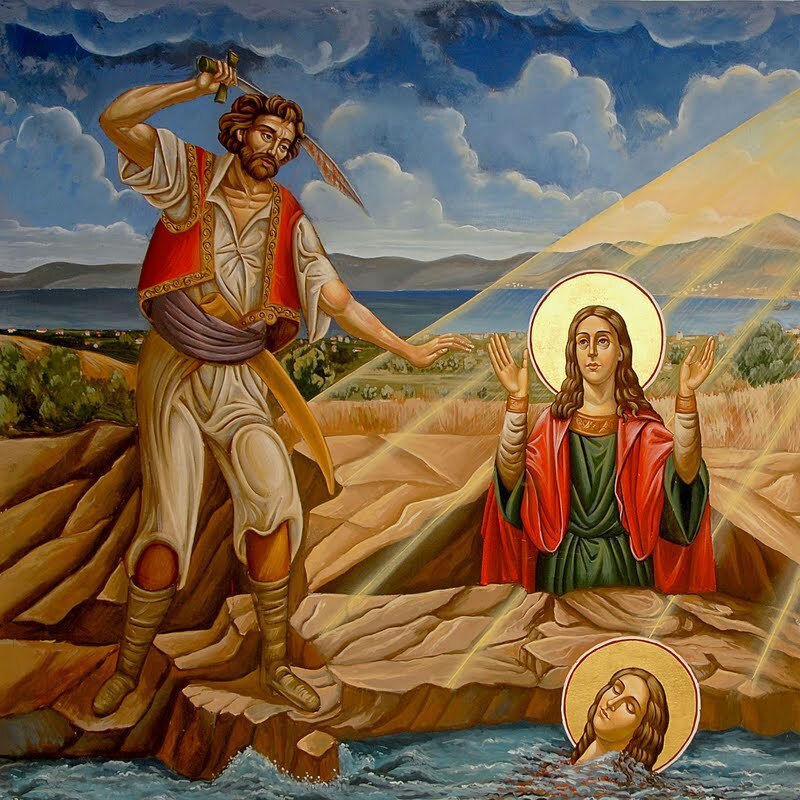 The spot where she was killed became known as “The Martyrdom of St. Markella,” and the rock that opened to receive her is still there. The rock appears to be a large stone that broke off from a mountain and rolled into the sea. Soil from the mountain covers the spot on the side facing the land. On the side facing the ocean is a small hole, about the size of a finger. Healing water flows from the opening, which cures every illness of the faithful. The flow of water is not due to the movements of the tide, because when the tide is out, there would be no water. This, however, is not the case. The water is clear, but some of the nearby rocks have been stained with a reddish-yellow color. According to tradition, the lower extremities of St. Markella’s body are still concealed in the rock. The most astonishing thing about the rock is not the warmth of the water, nor the discoloration of the other rocks, but what happens when a priest performs the Blessing of Water. Steam rises up from the water near the rock, and the entire area is covered with a mist. The sea returns to normal as soon as the service is over. Many miracles have occurred at the spot, and pilgrims flock there from all over the world. 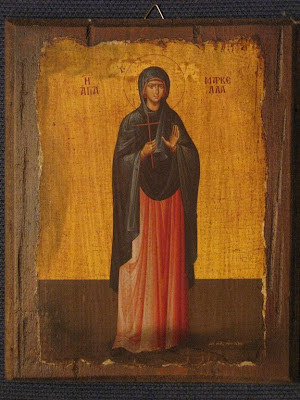 For the Paraklesis to St. Markella of Chios, see: http://full-of-grace-and-truth.blogspot.com/2012/07/paraklesis-to-st-markella-of-chios.html. 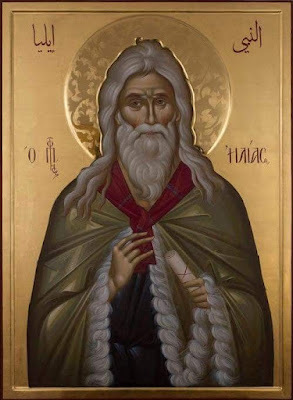 St Epiphanius of Cyprus gives the following account about the birth of the Prophet Elijah: "When Elijah was born, his father Sobach saw in a vision angels of God around him. They swaddled him with fire and fed him with flames." The name Elijah (the Lord's strength) given to the infant defined his whole life. From the years of his youth he dedicated himself to the One God, settled in the wilderness and spent his whole life in strict fasting, meditation and prayer. Called to prophetic service, which put him in conflict with the Israelite king Ahab, the prophet became a fiery zealot of true faith and piety. 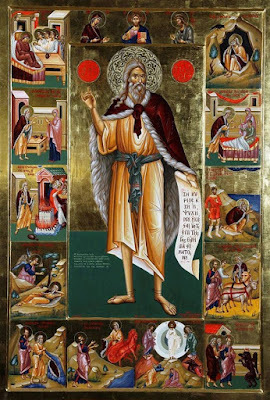 The Prophet Elijah told them to call on their gods to consume the sacrificial animals with fire, and he would call on his. Whichever was first to send fire on the sacrifice would be acknowledged as the true God. The prophets of Baal called out to their idol from morning till evening, but the heavens were silent. 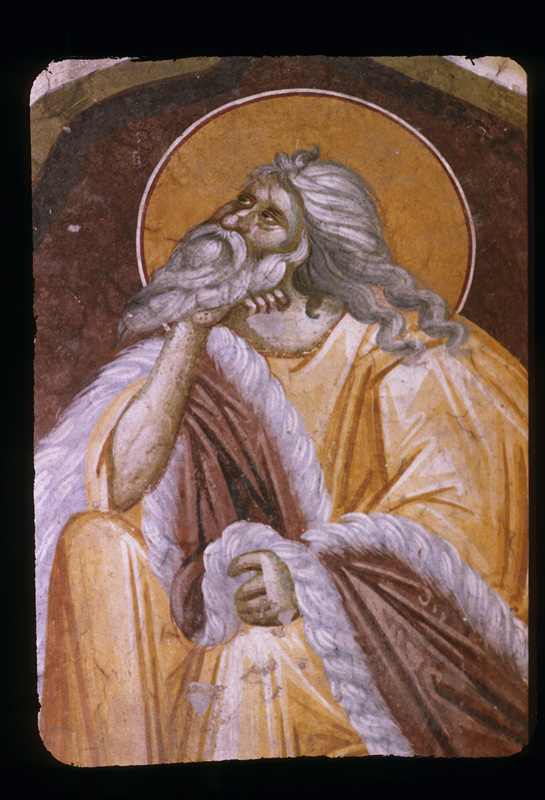 Towards evening the holy Prophet Elijah built his sacrificial altar from twelve stones, the number of the tribes of Israel. He placed the sacrifice upon the wood, gave orders to dig a ditch around the altar and commanded that the sacrifice and the wood be soaked with water. 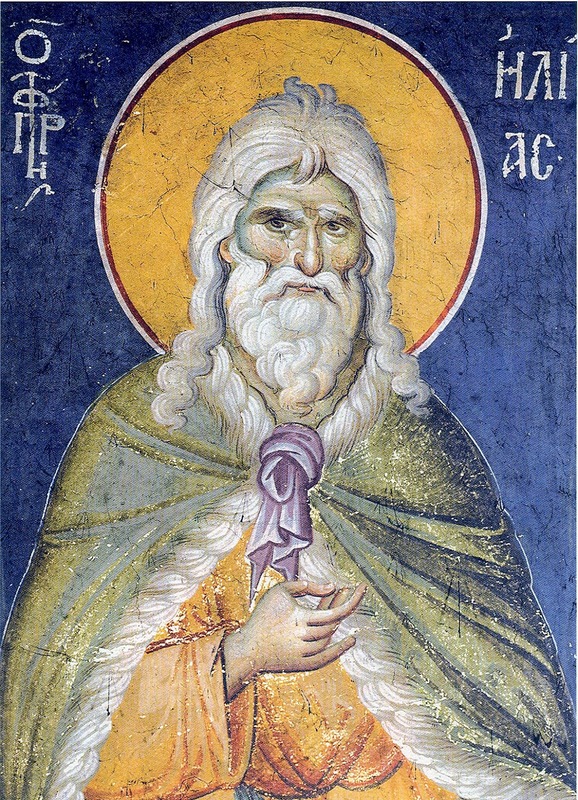 When the ditch had filled with water, the prophet turned to God in prayer. Through the prayer of the prophet fire came down from heaven and consumed the sacrifice, the wood, and even the water. The people fell down to the ground, crying out: "Truly, the Lord is God!" Then the Prophet Elijah had all the pagan-priests of Baal put to death, and he began to pray for rain. Through his prayer the heavens opened and an abundant rain fell, soaking the parched earth. 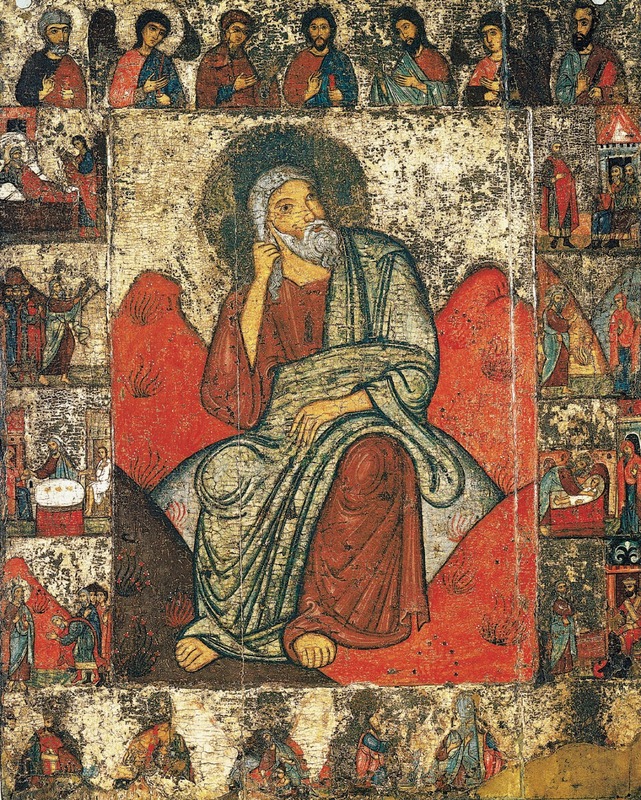 The Lord told him that the next day Elijah would stand in His presence.There was a strong wind that crushed the rocks of the mountain, then an earthquake, and a fire, but the Lord was not in them. The Lord was in "a gentle breeze" (3 Kings 19: 12). He revealed to the prophet, that He would preserve seven thousand faithful servants who had not worshipped Baal. Later, the Lord commanded Elijah to anoint Elisha into prophetic service. Because of his fiery zeal for the Glory of God the Prophet Elijah was taken up alive into Heaven in a fiery chariot. The Prophet Elisha received Elijah's mantle, and a double portion of his prophetic spirit. Saint Macrina was the sister of the holy hierarchs Basil the Great and Gregory of Nyssa, and was born in Cappadocia at the beginning of the fourth century. Her mother, Emilia, saw an angel in a dream, naming her unborn child Thekla, in honor of the holy Protomartyr Thekla. 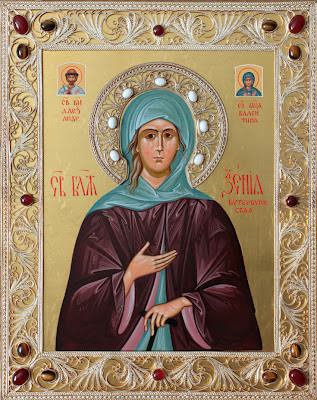 St Emilia (January 1) fulfilled the will of God and named her daughter Thekla. 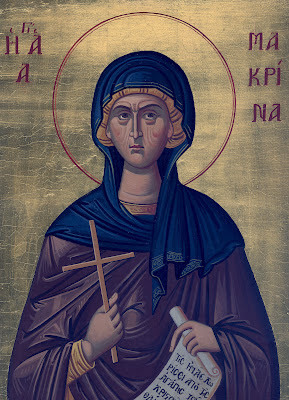 Another daughter was named Macrina, in honor of a grandmother, who suffered during the time of persecution under the emperor Maximian Galerius. 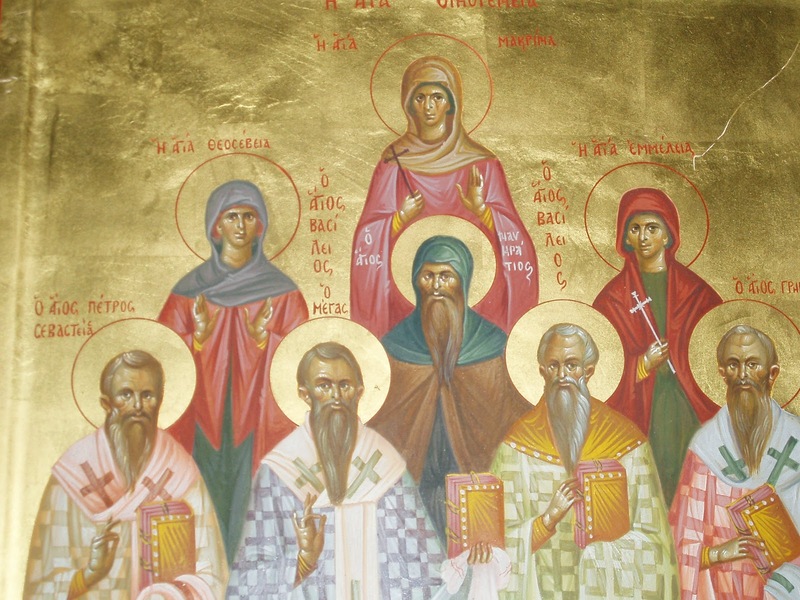 Besides Macrina, family there were nine other children. St Emila herself guided the upbringing and education of her elder daughter. She taught her reading and writing in the Scriptural books and Psalms of David, selecting examples from the sacred books which spoke of a pious and God-pleasing life. St Emilia taught her daughter to pray and to attend church services. Macrina was also taught the proper knowledge of domestic governance and various handicrafts. She was never left idle and did not participate in childish games or amusements. 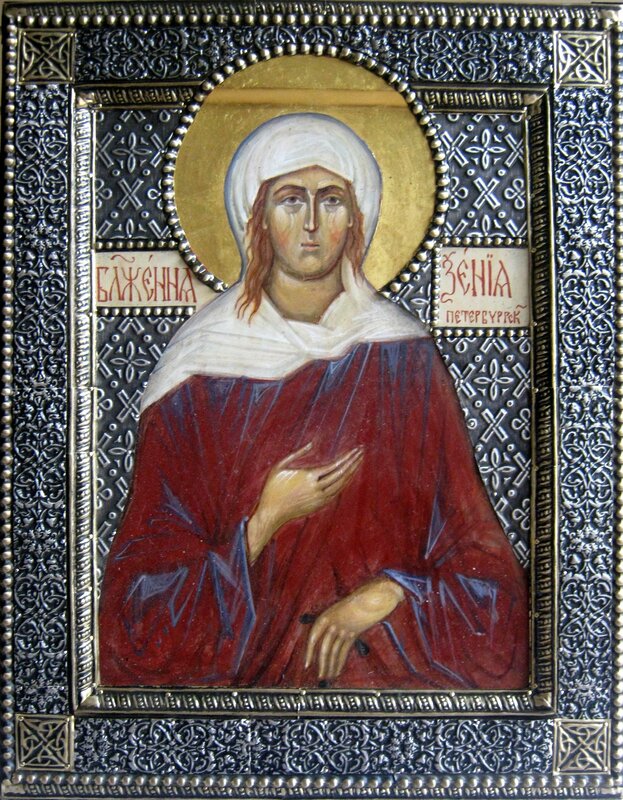 When Macrina grew up, her parents betrothed her to a certain pious youth, but the bridegroom soon died. Many young men sought marriage with her, but Macrina refused them all, having chosen the life of a virgin and not wanting to be unfaithful to the memory of her dead fiancé. 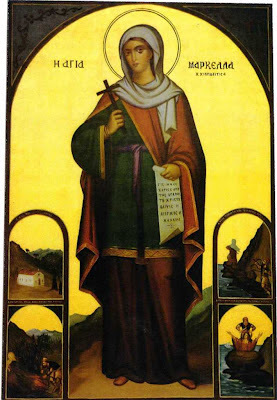 St Macrina lived in the home of her parents, helping them fulfill the household tasks as an overseer together with the servants, and she helped with the upbringing of her younger brothers and sisters. After the death of her father she became the chief support for the family. 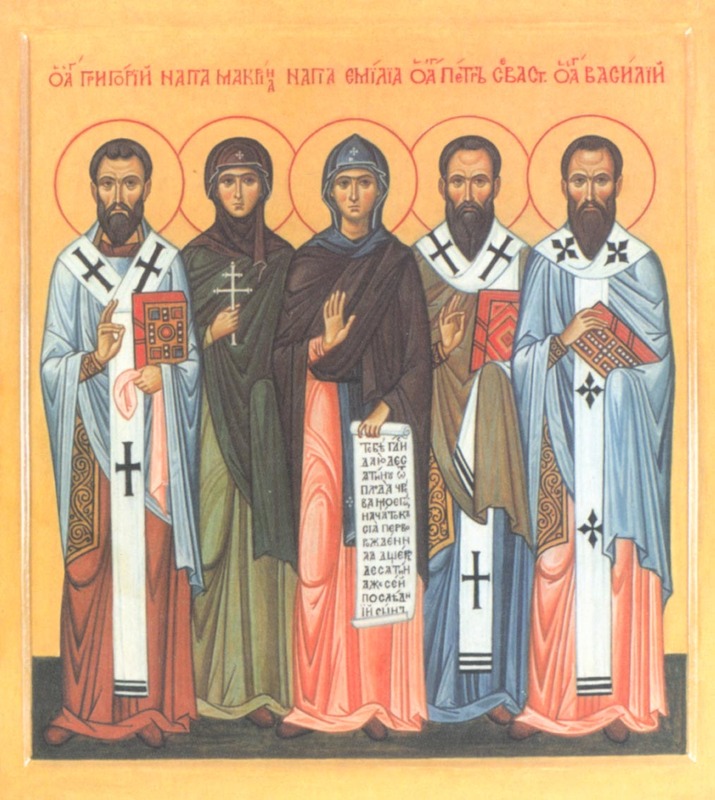 When all the children grew up and left the parental home, St Macrina convinced her mother, St Emilia, to leave the world, to set their slaves free, and to settle in a women's monastery. Several of their servants followed their example. 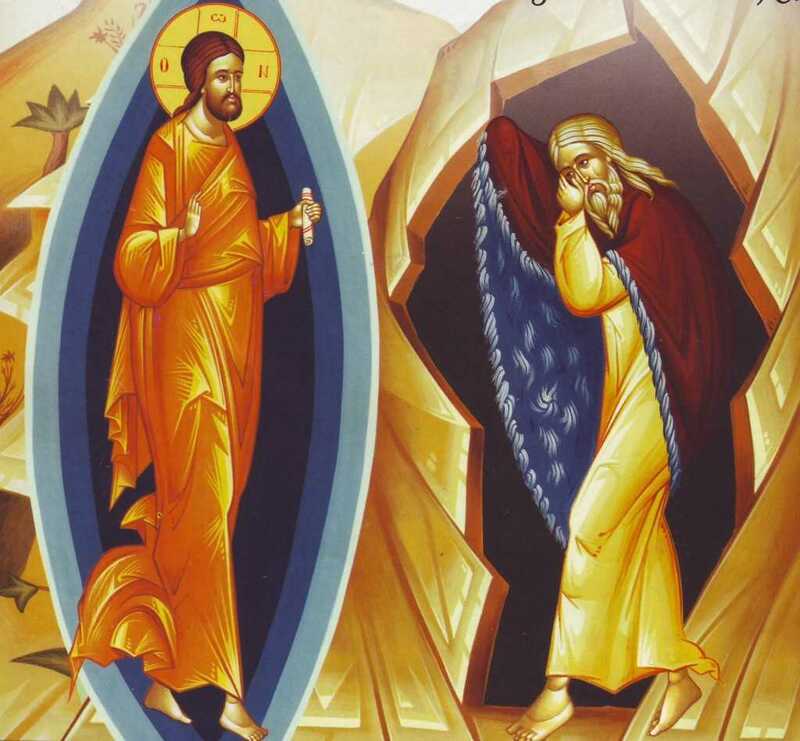 Having taken monastic vows, they lived together as one family, they prayed together, they worked together, they possessed everything in common, and in this manner of life nothing distinguished one from another. After the death of her mother, St Macrina guided the sisters of the monastery. She enjoyed the deep respect of all who knew her. Strictness towards herself and temperance in everything were characteristic of the saint all her life. She slept on boards and had no possessions. 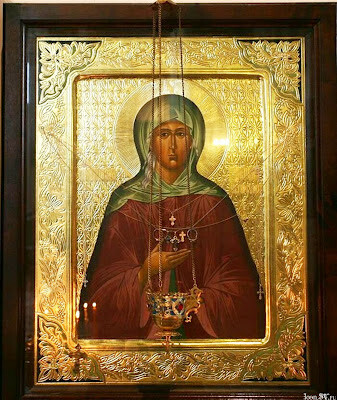 St Macrina was granted the gift of wonderworking. There was an instance (told by the sisters of the monastery to St Gregory of Nyssa after the death of St Macrina), when she healed a girl of an eye-affliction. 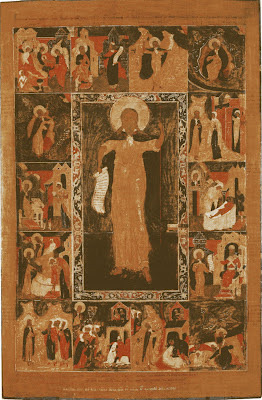 Through the prayers of the saint, there was no shortage of wheat at her monastery in times of famine. St Macrina died in the year 380, after a final prayer of thanks to the Lord for having received His blessings over all the course of her life. She was buried in the same grave with her parents. The image of God was truly preserved in you, O Mother, For you took up the Cross and followed Christ. 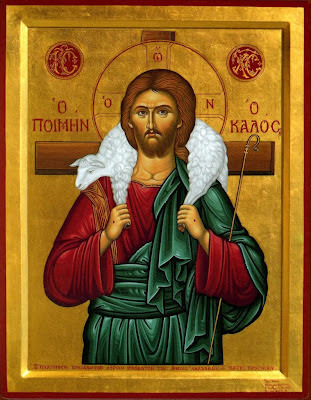 By so doing, you taught us to disregard the flesh, for it passes away, But to care instead for the soul, since it is immortal. 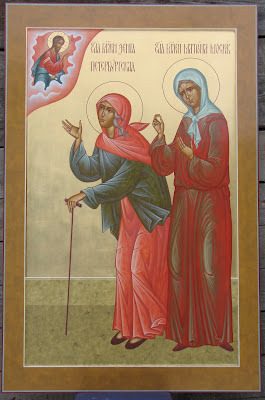 Therefore your spirit, O Holy Mother Macrina, rejoices with the Angels! Glory. 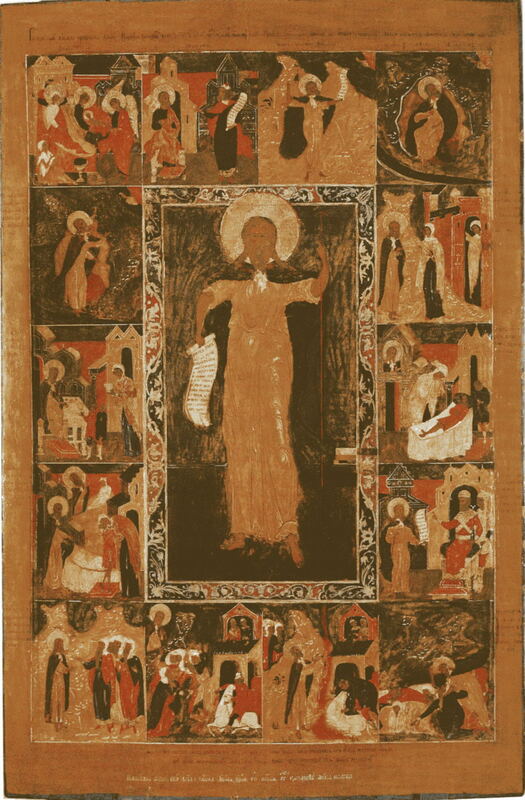 Apolytikion of the Saint in the First Tone. This water springs forth from your Precious Relic, and those who pray here with fervent faith are also warmed. This water has become like the Jordan on Chios. 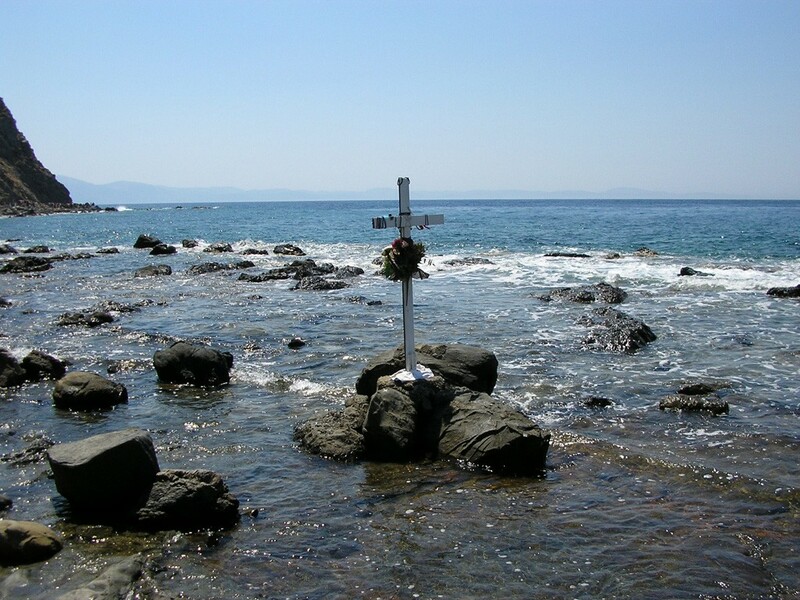 This water has been shown as the spring of Moses on Chios. This water is a divine gift from above, and a great treasure. 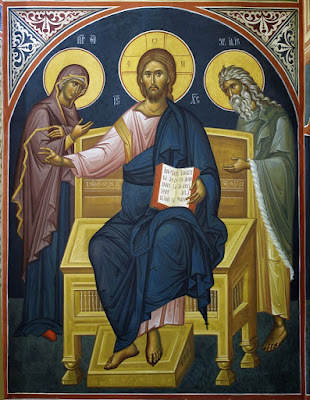 This spring is not a mere spring of water, but a spring freely pouring forth wonders and grace, through your intercessions, O comely Markella, to Christ, to Whom belongs the dominion unto the ages. O holy martyr of Christ Markella, hearken to my prayer, as I call upon your protection in reverence. Extend your hand, O bride of the Lord, O spotless one, amd entreat your sweetest Bridegroom Christ on behalf of us, seeking the fulfillment of our requests unto salvation. 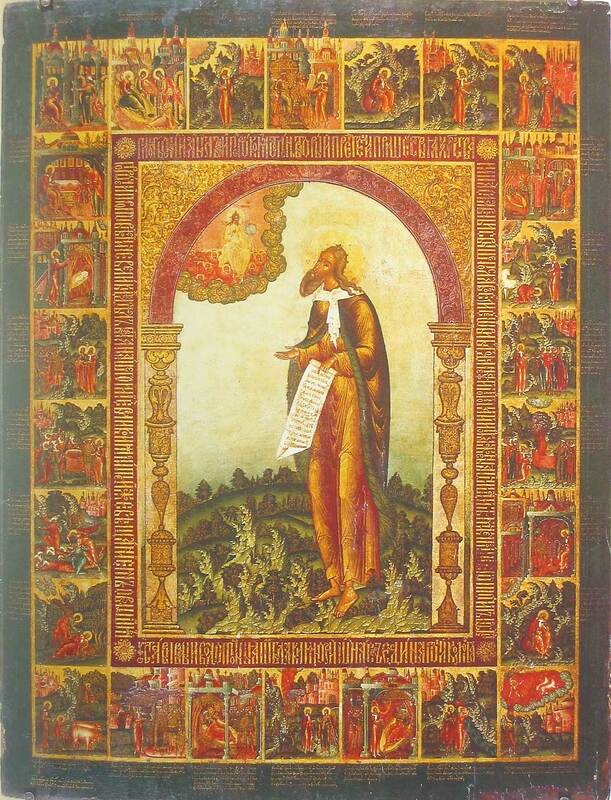 As a martyr, grant us progress in the faith and correction of our life. As one possessing the grace of healing, grant us healing from above. As one truly glorious in working wonders, wondrously save us from every dangerous circumstance, tribulation and want, that through you, we might hymn Christ God, He Who is, unto the ages of ages.